When Layla O'Reilly and Seth Murphy make their engagement public, she knows it's only to convince a major client that she's high-society enough to work for his agency. Seth has secretly loved Layla for years, but she's never given him the time of day. For Layla, this engagement of convenience is the chance to save her career. And for Seth, it's the chance to finally win her heart. Novelist Madeleine Houser arranges a temporary office in a local bed and breakfast to escape the distracting renovations on her own house. Although she's never laid eyes on the inn's owner, an unlikely friendship blossoms between them as they leave daily notes for each other, and before long, Maddie finds herself falling for her mysterious host-a man likely many years her senior-and a man she's never even met. 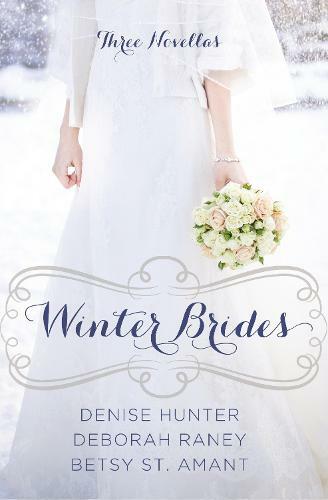 History repeats itself when Allie Andrews escapes the church on her wedding day-wearing the same wedding dress passed down for generations of women in her family, all women with histories of failed marriages. Allie loves Marcus but fears she's destined to repeat her family's mistakes. When thrown unexpectedly together for a wedding months later, Allie and Marcus discover their own story might be far from over.